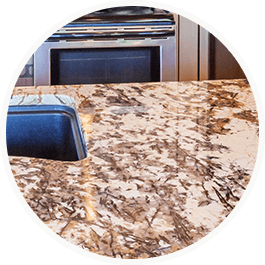 Granite is one of the strongest materials available for bath and kitchen surfaces. Keep it looking its best by cleaning regularly to remove dirt and germs. Wipe away soapy film left behind on countertops with Soft Scrub Advanced Surface Gel or Soft Scrub Total All Purpose Bath and Kitchen Cleanser for a clean and shiny surface.